We work with some incredible clients. From scintillating startups to businesses with big ideas - these are just some of the things we've done. 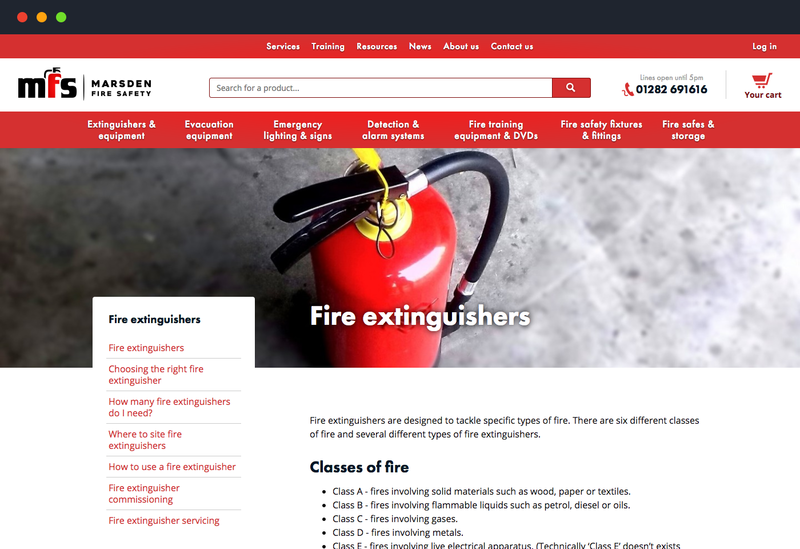 We worked with the team at Marsden Fire Safety Ltd to completely redevelop, redesign, rebrand and re-write, two very dated websites into a single site. We built the new website from the ground up, introducing a clear brand identity and a consistent tone of voice across the site. 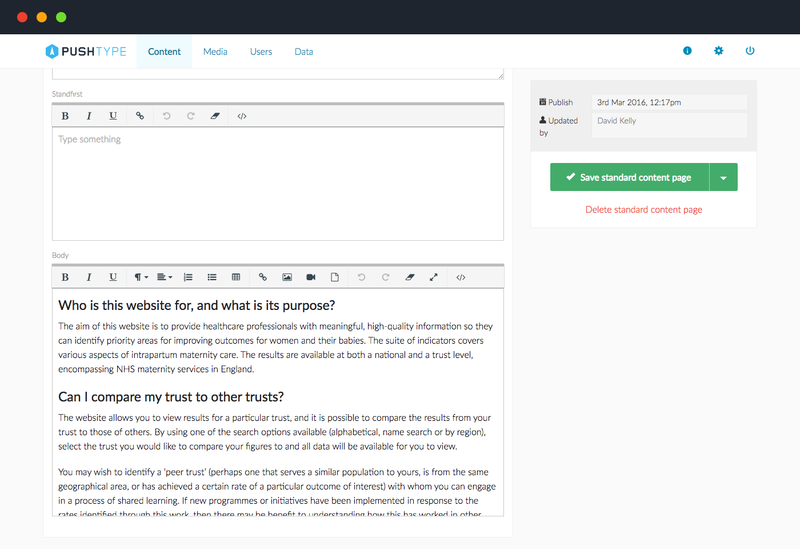 PushType is an open source Ruby on Rails content management system (CMS) designed for developers. We weren't satisfied with the available Rails CMS options so we built our own. PushType is now the power behind a number of our client’s sites and is an emerging choice in the Rails open source ecosystem. 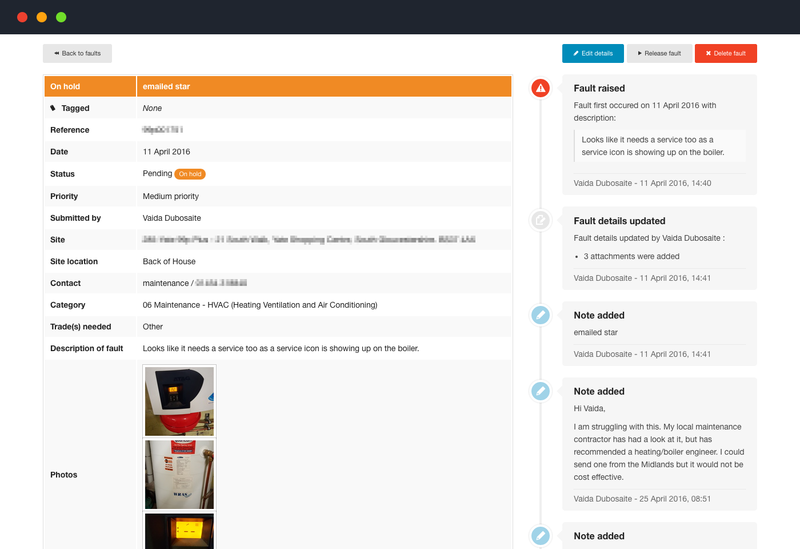 Mainteno is a cloud-based maintenance fault tracking system. They came to us with an initial concept and we worked with their team to develop the product. Mainteno was launched in 2015 and is being used by a number of well-known high street store chains, national gym chains, and large sports facilities. 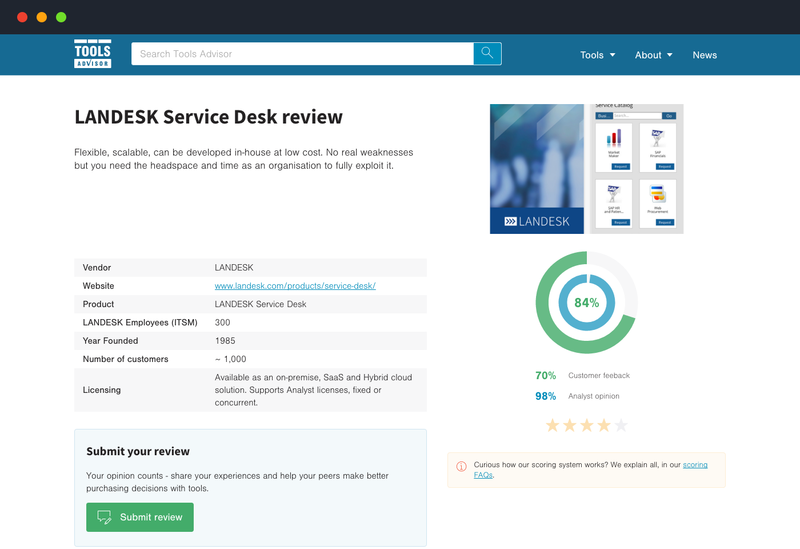 Enterprise Opinions approached us because they wanted to create a searchable directory of enterprise software tools, ranked and reviewed by customers. We worked with them to design and develop the site which is powered by our content management system, PushType. We developed powerful search functionality using the Algolia API. 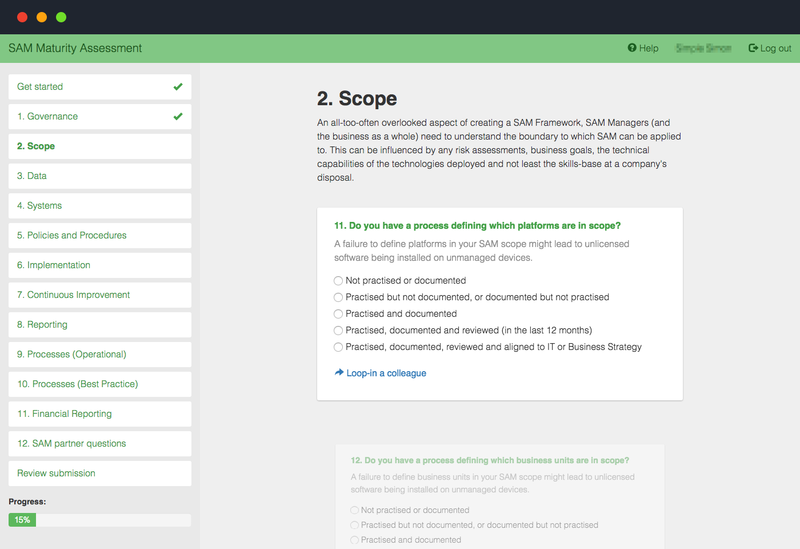 SAM Charter is a consultancy that works with organisations to benchmark their software asset management processes. They approached us to turn their 100 question survey into a web application, that securely invites participants and generates comprehensive PDF reports of their individual results. We focused on the user experience of the survey, aiming to turn a lengthy and complicated process into an intuitive and enjoyable experience for all users. 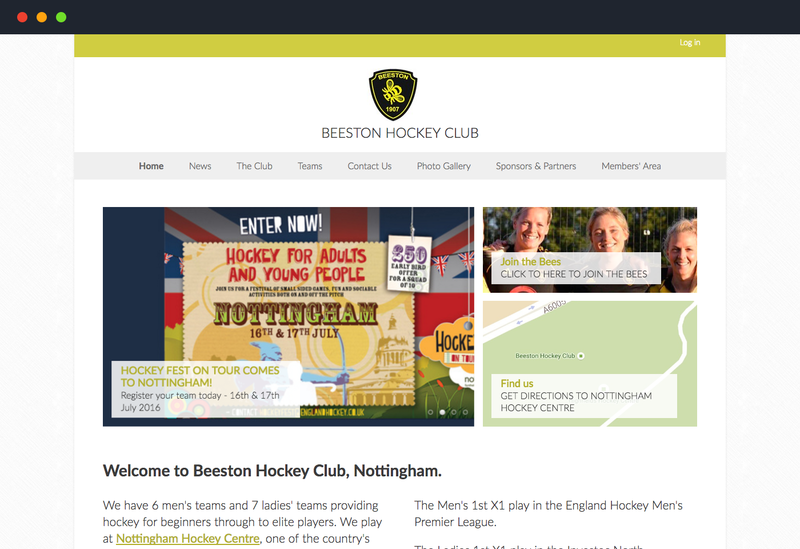 ClubBuzz provides sports clubs with hosted websites, customisable website templates, and a suite of online website and club administration tools. We were approached by ClubBuzz to help them realise their idea and design and develop a web application and marketing website. ClubBuzz is now one of the best known products of its type on the market. We have worked with Spectrum Healthcare, a specialist supplier of evacuation equipment, moving and handling devices and mobility aids, since 2008. They asked us to review their existing site and with a view to a redesign. We created a static site, developing the structure in parallel with the content so one did not dictate to the other. 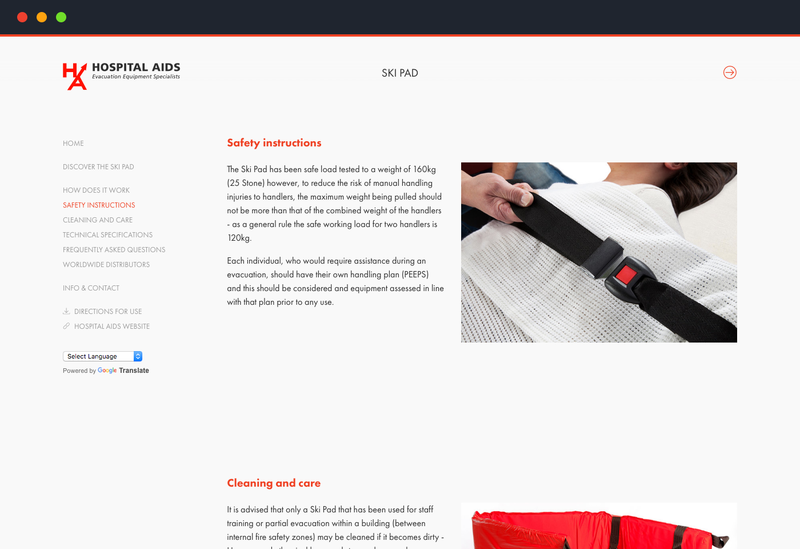 Hospital Aids manufacture and sell evacuation products. 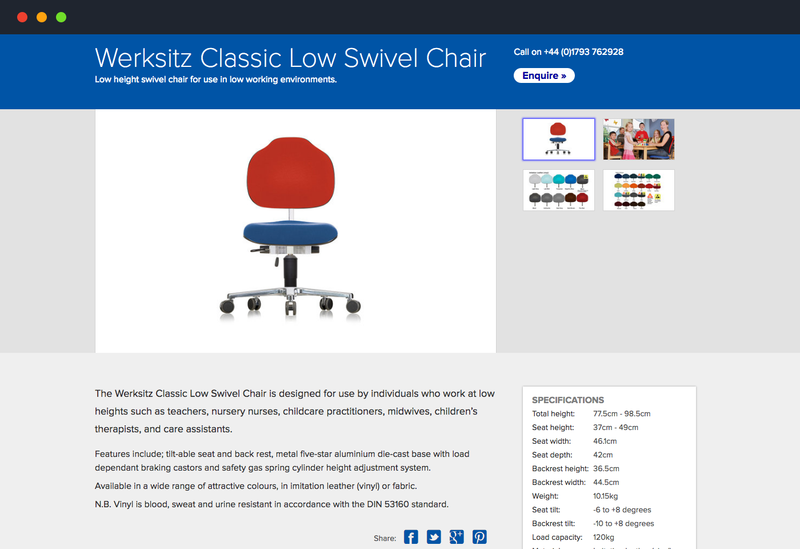 We were asked by them to design and build a mini-site template to showcase individual products. We developed a clean, simple template which mirrors the branding and style of the main site. Inspired by one of our projects? Want to find out more?